Harry rocks his Paige skinnies! 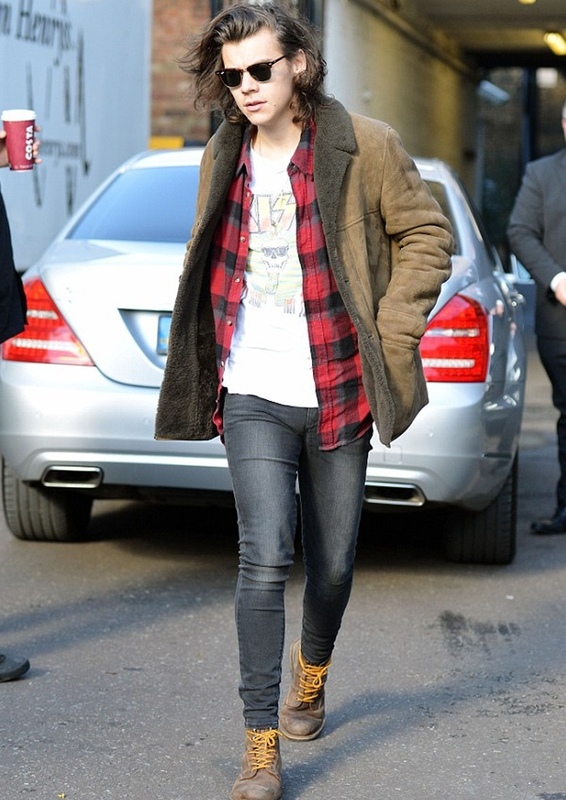 Harry Styles was out in London, wearing a pair of Paige skinny jeans. He wore them paired with a plaid flannel shirt, a “Kiss” t-shirt, and a brown shearling coat. Harry’s jeans are the Paige Lennox in Ace. The Lennox is slim through the hips and slightly tapered through the leg. They are a beautiful grey wash with some fading along the front of the legs. As far as skinny jeans for men go, these are one of the most popular. They are super soft and absolutely hug your hips and legs. I know, not all of you guys love skinny jeans, because you may feel restricted and not very comfortable in them. But our reviewers, and all the guys that I know that have tried on the Lennox, are absolutely loving them. Because of the added stretch (they have 2% Elastane), they really feel snug and comfy at the same time. You can find the Paige Lennox in different washes here.